"Blue Ribbon Commission on Tax Reform", "Kentucky tax code", "cigarette tax", "smurfing"
In February of this year, Kentucky Governor Steve Beshear charged the Blue Ribbon Commission on Tax Reform to review and revise the Kentucky tax code. A recent proposal approved by the Commission would increase state cigarette taxes from $0.60 to $1.00 per pack. While the cigarette tax is one of many proposals under consideration by the Commission, it nevertheless raises the question of whether such a tax would serve as a viable and effective option for Kentucky. Furthermore, what does this proposal mean for the tobacco industry in general? In recent years, hiking cigarette taxes has become a popular strategy employed by state legislatures. The politically appealing cigarette taxes provide monetary incentives to reduce smoking and its negative public health by-products while also bolstering state revenues. Most recently, Illinois lawmakers approved a tax increase from $1.00 to $1.98 per pack, which took effect in July of this year. Despite the overall national trend toward increasing state cigarette taxes, a great disparity remains among the individual states' taxation rates: New York imposes the nation's highest rate of $4.35 while the nation's lowest rate in Missouri is a paltry $0.17 per pack. In November, Missouri voters maintained the national low by rejecting Proposition B, which would have imposed a state increase of $0.73 per pack. This disparity in state cigarette tax rates has led to a booming industry for cigarette smuggling and resale - known as "smurfing" - exacting an estimated governmental cost of $10 billion annually, according to the Bureau of Alcohol, Tobacco, Firearms, and Explosives. While Kentucky's tax rate would remain relatively low even with the proposed increase and thus not create the sort of high profit margins to incentivize large scale cigarette smuggling operations in Kentucky, it could very well drive Kentucky smokers to take their business across state lines to one of the five border states offering lower prices. Kentucky remains the second highest adult smoking market in the nation, a market that hopefully could be choked down by tax pressures, but one that nonetheless could be outsourced in part to more cigarette-friendly neighbors. This potential for lost cigarette revenues from ubiquitous Kentucky border towns has given pause to some skeptics of the proposal. Setting aside the potential revenue shifting across Kentucky's borders, it remains to be seen what impact the tax increase would impose on Kentucky's tobacco industry. Although tobacco is not the dominant commodity it once was for Kentucky, it nonetheless produced $325.2 million in cash receipts for 2011. Despite its declining sales, tobacco remains relevant to Kentucky and Kentuckians, and policy decisions such as imposing an increased cigarette tax may very well bring economic and agricultural ramifications. 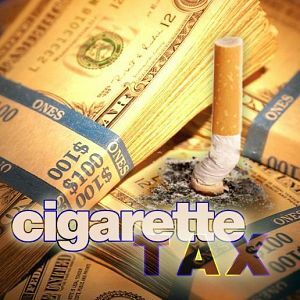 The steady decline of tobacco sales in Kentucky, and nationwide, is certainly not attributable to any one state's individual tax increases, but rather the result of various and complex factors - chief among them the recognition of the devastating health consequences of tobacco consumption. The fact that Kentucky, one of the principal tobacco-producing states left in the nation, contemplates further increases to its state cigarette tax, arguably decreasing tobacco usage, likely says more about the symbolic decline of the tobacco industry than anything else. Despite stalwart holdouts like Missouri, it seems Kentucky's contemplation of a higher tax falls in line with the national trend that signifies a slow push towards snuffing out an industry. Press Release, Governor Steve Beshear's Communications Office, Gov. Beshear Authorizes Tax Reform Commission (Feb. 9, 2012), available at http://migration.kentucky.gov/Newsroom/governor/20120209taxcommission.htm. Scott Wartman, Cigarette tax hike among proposed changes by tax commission, (Nov. 19, 2012, 6:00 PM), http://cincinnati.com/blogs/nkypolitics/2012/11/19/cigarette-tax-hike-among-proposed-changes-by-tax-commission/. The urge to smurf: When government gets greedy, some people turn to crime, The Economist, http://www.economist.com/news/united-states/21567111-when-government-gets-greedy-some-people-turn-crime-urge-smurf (Nov. 24, 2012) ("Since 2007 at least 27 states have raised their cigarette taxes, often to erase deficits or to cover sharp increases in health-care costs."). Rick Pearson & Ray Long, Lawmakers OK $1-a-pack cigarette tax hike, Chicago Tribune, (May 30, 2012), http://articles.chicagotribune.com/2012-05-30/news/ct-met-illinois-legislature-0530-20120530_1_cigarette-tax-tobacco-tax-measure-tax-hike. Map of Cigarette Tax Rates, Tobacco Free Kids, (July 6, 2012), available at www.tobaccofreekids.org/research/factsheets/pdf/0097.pdf. Michelle Pekarsky, Missouri Voters Reject Cigarette Tax Hike, Fox4kc.com, (Nov. 6, 2012, 10:44 PM), http://fox4kc.com/2012/11/06/prop-b-cigarette-tax-in-missouri/. The Economist, supra note 4. Tobacco Use in Kentucky 2012, Kentucky Cabinet for Health and Family Services, available at http://chfs.ky.gov/dph/mch/hp/tobaccodata.htm. Lorie Hailey, Cash Receipts for Kentucky Farm Commodities Nearly $5 Billion in 2011, The Lane Report, (Nov. 13, 2012), http://www.lanereport.com/15231/2012/11/kentucky-farm-cash-receipts/. Vital Signs: Current Cigarette Smoking Among Adults Aged ≥ 18 Years - United States, 2005-2010, Centers for Disease Control and Prevention, (Sept. 9, 2011), available at http://www.cdc.gov/mmwr/preview/mmwrhtml/mm5745a3.htm. Newer PostKeystone XL Permit Decision, Take Two: Will "National Interest" Prevail in 2013?